I’m excited to tell you about a high school course that we’ve been offering in BCPS since 2012, the Independent Research Seminar. This is an elective course which sophomores, juniors or seniors can take for a semester or a full year at the Standard, Honors or GT/Advanced Academics level. The Independent Research Seminar offers students a unique opportunity to do in-depth original research on a topic of their own choice. For the last five years, we’ve had students researching a wide variety of topics in virtually every discipline. Students learn a rigorous research process that includes a literature review and subject-specific research methodologies characteristic of college level research. They use an Online Research Framework to work both independently and under the guidance of content area teachers and the school library media specialist, who provides information literacy instruction for each step in the process. Students also consult with outside experts, and may have an opportunity to conduct research at an off-campus site. For example, we’ve had students work with scientists at a Johns Hopkins University scientific research lab, at area museums and historical societies, at local companies like Lockheed Martin, and at government agencies like the NSA, to name just a few. For several students, this course has led to an Internship and even employment. Students present their research to an audience of their peers, parents, mentors, school administrators and teachers at our annual Student Research Symposium. This course is a great alternative to the AP Capstone course, which is not necessarily appropriate or appealing to all students. We have had diverse students take this course over the last 5 years, including English Language Learners, a student on the Autism spectrum, and a few reluctant learners who were otherwise not fully engaged in high school. At the 2017 Common Ground Conference in May, I gave a presentation about this course with my colleague Joquetta Johnson, the Library Media Specialist at Randallstown High School who has been teaching the course for four years. 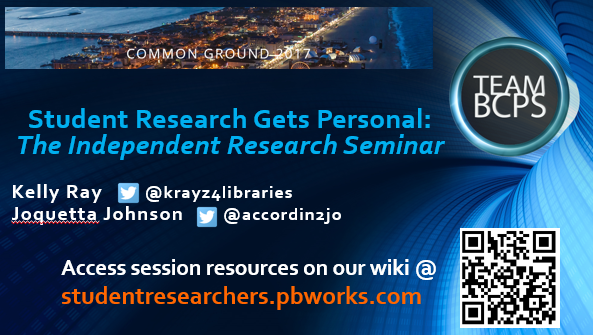 For a good introduction to what the course is all about, view our Conference presentation Student Research Gets Personal: The Independent Research Seminar, which includes student artifacts and videos. Our High School library media specialists use this brochure to promote the Independent Research Seminar course to their students at registration time each year. 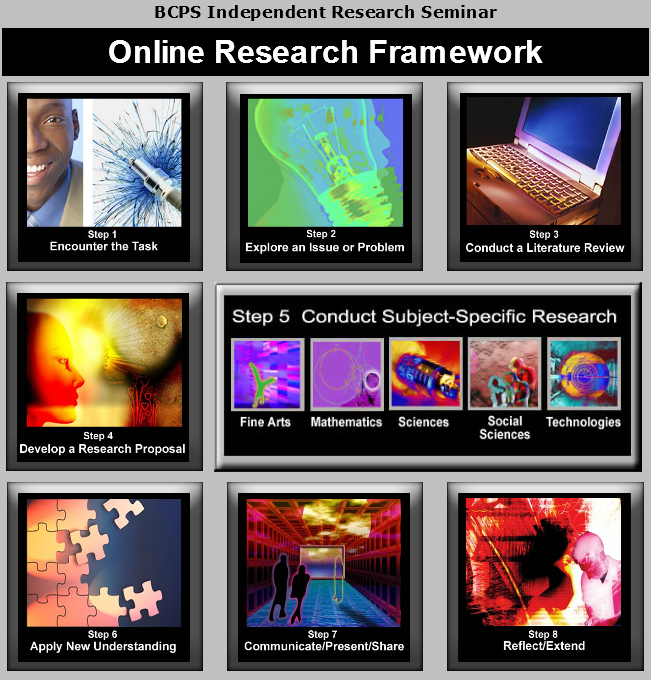 Students enrolled in the course use this Online Research Framework to access resources throughout the research process. Course instructors use Units and Lessons that correspond to each step in the Framework to facilitate instruction; these lessons are housed in our BCPS One Learning Management System (so unfortunately I am unable to share those Lessons with you). We will be revising the Lessons and Online Research Framework this summer (please excuse broken links). We plan to incorporate GID strategies and tools, including some from the latest GID in Action: High School book. The BCPS Student Researchers Wiki features Research Symposium video highlights, news articles, and digital copies of Symposium event programs for the last five years. You can read students’ research abstracts in these programs to get an idea of the wide range of topics they have chosen to research. Students are given secure folders on the wiki for uploading and organizing their work, and they can also use it as a collaborative workspace. Although this course was written in 2011 (before our introduction to Guided Inquiry Design), I think you’ll agree that the model we developed bears many similarities to GID. For example, students keep a reflection journal throughout the research process, and they often engage in small group collaboration (e.g. 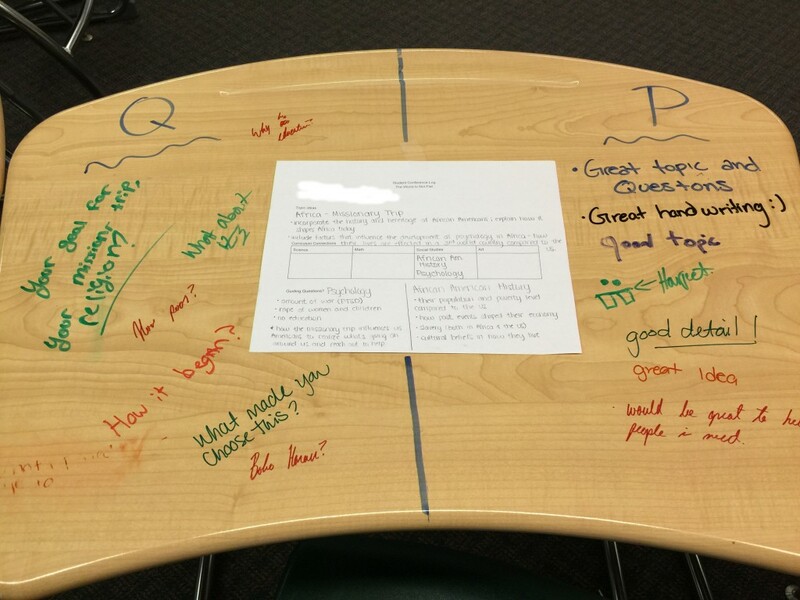 Inquiry Circles). Students sometimes choose topics that interested them in one of their other courses, or which relate to their college and career aspirations. In recent years, many students have chosen to explore issues related to diversity, equity and social justice. These are issues that are extremely relevant to students’ own personal lives and experiences. They would not have had the opportunity to explore these personally meaningful topics in depth, if not for the Independent Research Seminar course. This course is unique in providing that level of learning choice and voice, while empowering students with information literacy skills, not only for college and career readiness, but for citizenship and for life. It’s been my pleasure to share some of our work around GID and student research at BCPS with you this week. I hope you find some inspiration and ideas that you can apply to your own practice. Enjoy the rest of your summer! No Cheese Fondue, but What About Wheat Fields, North Dakota, and a Small Town Girl’s Guided Inquiry Story? My name is Buffy Edwards and I am the Library Information Specialist for Norman Public Schools, the most awesome school district in the state of Oklahoma (and country!). I also have the privilege of being the Teacher Librarian at Dimensions Academy Alternative School here in Norman. Thank you Leslie for this awesome opportunity of sharing. Thank you also to Kelsey, your compliment was so kind and I appreciate it. I want you all to know that Kelsey’s pretty amazing in her own right and she won’t tell you that she was just awarded the Outstanding New Librarian Award by the Oklahoma Library Association. You rock! Here’s a little background on me. I’m originally from Wimbledon, North Dakota, population 211 counting dogs, cats, and goldfish. Lots of people are afraid of the winter up there and rightfully so — it can be brutal. 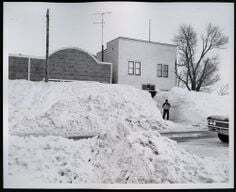 Main street in the blizzard of 1966. I don’t see anything to be concerned about!!! Ha ha! I would argue that there is nothing more beautiful than a fresh snowfall in winter or a field of wheat waving in the wind in the summer. The area where I grew up is prime farming country. If you’ve never experienced it, the sound of the wheat dancing back and forth almost sounds like water washing on the shores of a beach. I am the youngest of seven children. 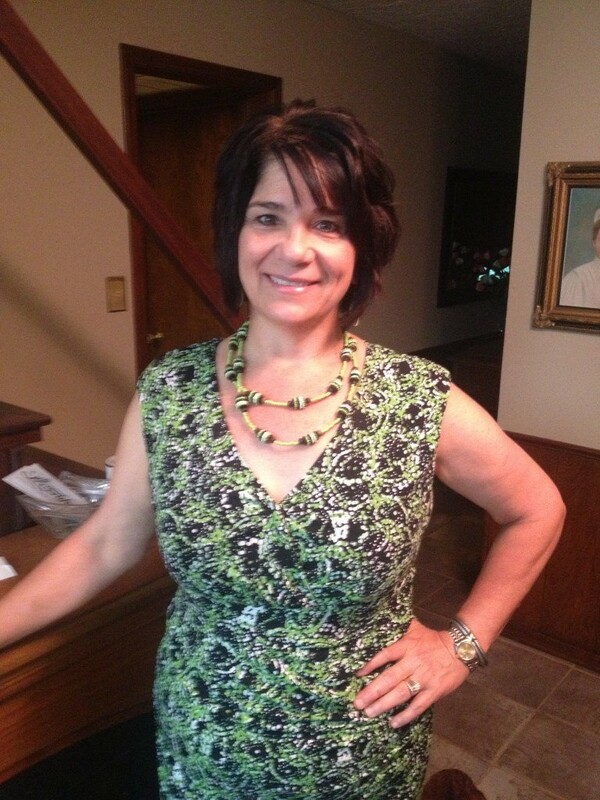 My hard working mother, widowed at 38 with seven children and a 10th grade education, instilled in me that adversity wasn’t an excuse and I could anything if I set my mind to it. My dream was to teach music in a rural K-12 school in ND. WHAT? Yep, but that didn’t happen because as I was earning my music degree, my work study ‘stuck’ me in the library. Of all places, the library! What it turned out to be was something wonderful and I became so interested in the behind the scenes working of a library that my life course changed completely and I found myself in Norman, Oklahoma pursuing my MLIS. Now, you are probably wondering how the leap was made to school libraries and I would be too. Newly married to a wheat harvester — wheat harvest is a hard work, gypsy lifestyle where you travel from Texas to Canada harvesting grains, milo, corn etc. — we decided a school year coincided more closely to the harvest trail so I used my education background with my MLIS and found myself in a perfect fit landing in an elementary school library. I was home and it was in that first job I experienced how school libraries change lives. A passion for teaching and learning, a love for working with young, creative minds and a drive that is as fierce as the Oklahoma winds, I am still going strong. Now I have K-12 experience and still love them all! Oh yes, along the way I earned my PhD in Instructional Psychology and Technology – NEVER stop learning. This is now my 28th year in public education (25 of those years in Norman) working in school libraries and I LOVE my profession. Did I mention I love what I do? I guess that’s what happens when you are doing something that doesn’t seem like work. Transforming the learning and lives of children through school libraries is truly a blessing and I value each and every day. And now on to Guided Inquiry and Dr. Leslie Maniotes. As Kelsey shared yesterday, we lucky folks in Norman had the opportunity to learn about Guided Inquiry from the master herself. Thank you @Normanps! I think I’ve been a Leslie ‘groupie’ long before she came to Norman though – I read (no, devoured) her professional writing and one year I was at AASL, fought to get in a room where she was presenting, squeezed into a packed row of chairs with almost no space between them to learn about Guided Inquiry. I couldn’t breathe! It was so hot in the room, I was seeing someone whose work I had read, believed in what she said, but …… could not stand to stay in the room because I thought I was going to be sick. Are you kidding me? Yes, I had to leave. I was sooooooo mad but little did I know I would be able to tell her my story face-to-face one day. We had a good laugh! Buffy discussing Choice Board project formats with English IV students. So here we are to today and now I must get more serious in my writing. As a Teacher Librarian at Dimensions Academy, a K-12 alternative school, we have started implementing Guided Inquiry and it has been challenging but rewarding. Challenging because students are content with a prescriptive education model –teachers tell them topics, teachers tell them questions, teachers tell them format, it’s just the way it’s been done for a long, long time. GI makes them step way outside that comfort zone and really think for themselves (that’s beautiful thing when that happens BTW). Our school has been traditionally more packet/worksheet driven due to the nature of academic needs of students so the idea of a GI unit was very new and different. Following the GI institute with Leslie last October, where our English IV teacher, science teacher, social studies teacher and myself planned the unit, we took a leap of faith to implement it and did it ever pay off! 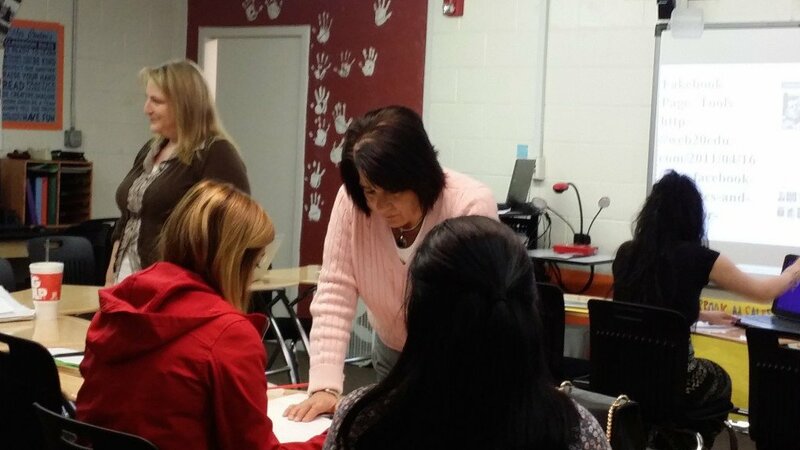 The instructional unit planned was done primarily through English IV where students were given the opportunity to earn credits in multiple content areas. So for example, a student who needed to recover credits in social studies, could focus their project with more emphasis in the subject content area while still meeting English IV standards. It was amazing – students were really motivated to earn those multiple credits. I will share a little more about this unit later in my posts BUT there is a whole chapter about this unit, written by yours truly, in Leslie’s new GI book for high school. This project required students to learn to trust in themselves and the process. When they were able to open their hearts to learning, great things happened for them. Students who were initially in the class only in body became really involved in their own learning. Once we helped them understand it would all come together, they let go of the anxiety and replaced it with drive for their own learning. Kelsey mentioned that we are on the same team developing a very cool Guided Inquiry unit for 5th grade science and we will share details about the unit through our back and forth blog over the next two weeks. It’s been a pleasure sharing with you today. Oh yes, and I forgot to say that I visit my home state of North Dakota as often as I can (during the decent weather months) and it is still as beautiful as ever. I never, ever forget my upbringing and really wouldn’t change it I guess because it made me who am I. The message I want kids to learn by my actions is that by all measures, I probably should have been a failure but nobody told me that so I just went ahead and carved my own path and continue to work for success.